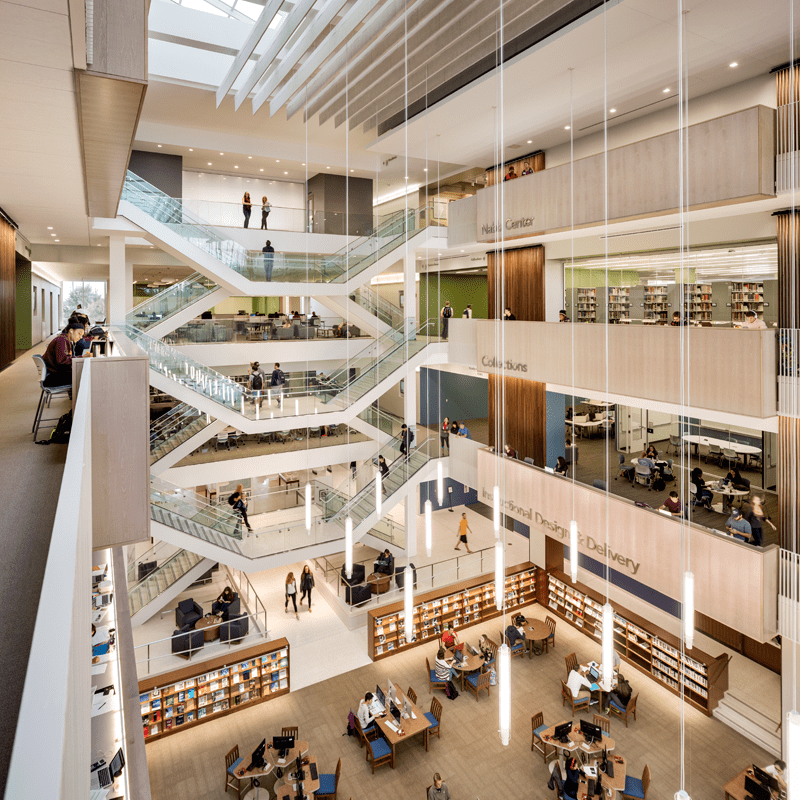 Led by Gilbane Building Company, the new Patricia R. Guerrieri Academic Commons at Salisbury University spans over 220,000 SF and was delivered via a design-build with a GMP delivery method utilizing design assist subcontractors. Designed in Revit, BIM was an integral part of both the design and construction phases. The structure features a bell tower and is now the University’s most prominent building, located in the middle of the campus with direct visibility from Route 13. 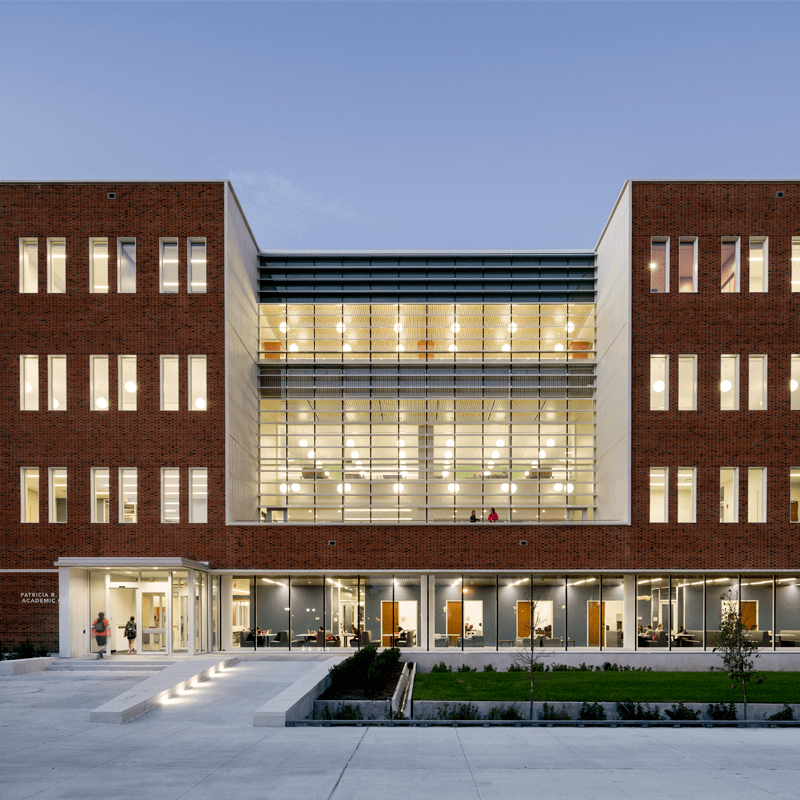 Certified LEED Gold, the four-story structure features a partial basement, green roof, traditional brick façade, stone and curtainwall entrance and punch windows. The project included an ‘early package’ consisting of hazmat abatement, demolition, site work and utility location. The steel-framed structure sits on an auger cast pile foundation system. The partial basement houses mechanical spaces and storage for facilities, housekeeping and FF&E. The ground floor features a prominent four-story atrium, student academic commons, computer instructional labs, café with complete kitchen and servery, loading dock and back of the house support spaces. 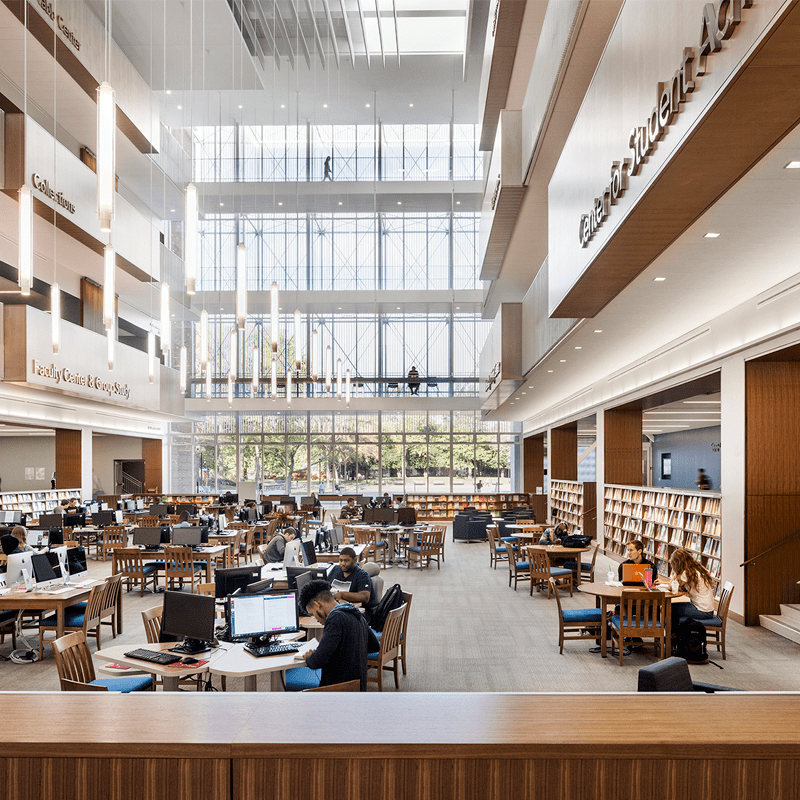 The second level includes math and computer instructional labs, classrooms, group study spaces, faculty offices, tutorial spaces, café seating, studio and presentation instructional rooms. 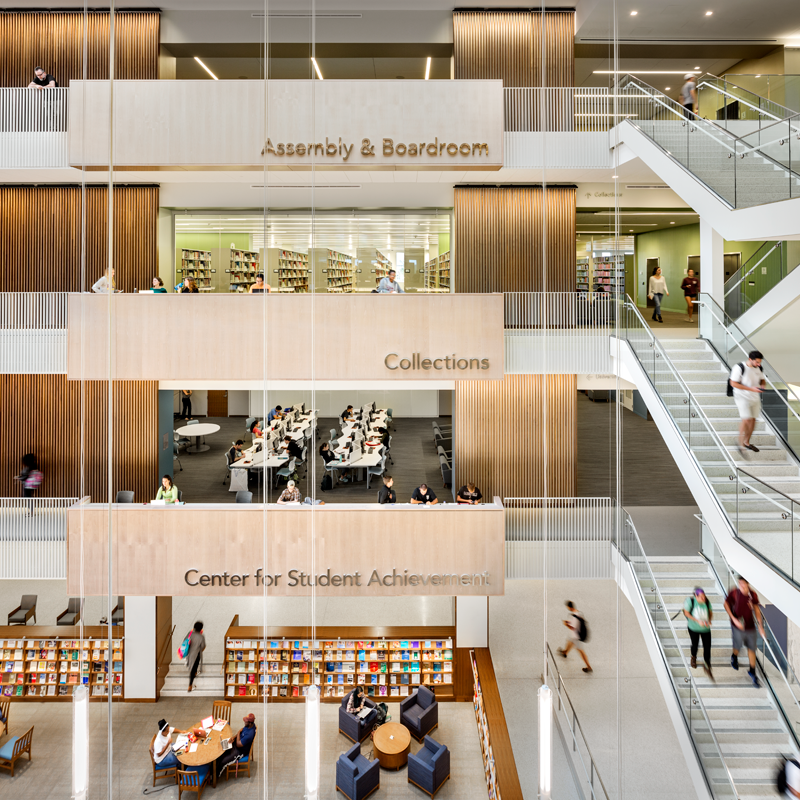 Level three features traditional library ‘stacks’ housing collections, periodicals, government documents and reading rooms. The fourth floor houses special collections, archives and lab preservation rooms, an over 700-person special events room with exterior balcony and 125-person board room.